A Rinkya Blog: An Eco-Friendly "Fireplace"! 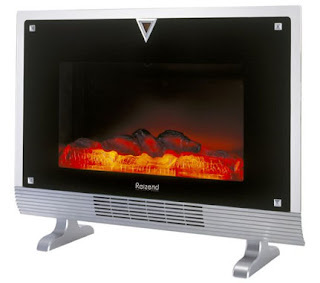 I absolutely love this idea, the gadget shown above emits heat and displays a nice romantic fire on the flat panel display. I love warming up to a fireplace but remodeling my house is too expensive. This seems to offer both heat and the inviting look of a fire, with an added bonus of no cleanup and dirty soot!